Electric car maker Tesla Motors announced on Sunday night that it has decided to cancel production of the base version of its Model S electric car that has the smallest battery pack, at 40 kWh (or 160 mile range). Tesla says only 4 percent of customers had ordered that version. Tesla will continue to sell the Model S with 60 kWh (230 miles) and 85 kWh (300 miles) battery packs. Customers that already purchased the base Model S will get a 60 kWh version, but with software that will maintain the battery level to its 160 miles range. The decision means that Tesla’s least expensive Model S will start at $62,400, instead of in the $50,000 range. Perhaps the move could also help boost Tesla’s margins on the Model S, which was around 8 percent at the end of 2012, and which Tesla is hoping will be closer to 25 percent later this year. Clearly Tesla’s early customers, at this stage, care more about having a larger range for the car than shaving off $10,000 from the car. Perhaps that could change for Tesla’s third electric car, which is supposed to be a more low cost mainstream car. At the same time that it streamlined its product line up, Tesla also announced that it has boosted its earnings guidance for the first quarter of 2013, due to 250 more Model S cars being delivered than expected. While Tesla had already reported that it expected to reach profitability on a non-GAAP basis (excluding non-cash options and warrant-related expenses) for the first quarter of 2013, Tesla now says that it expects to be profitable on a GAAP basis, too. 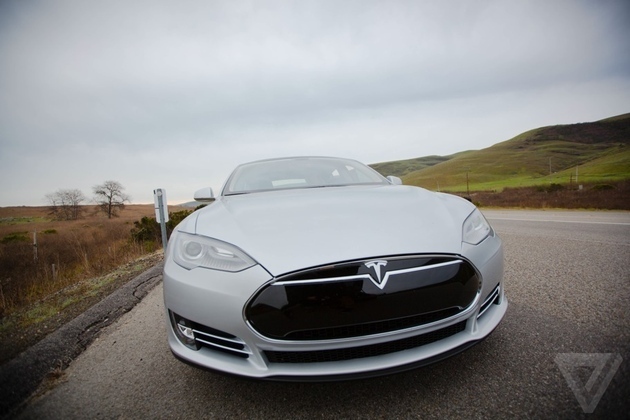 The fourth quarter of 2012 was a breakthrough time for Tesla. The company moved into volume production, and started producing 400 Model S cars per week. Now Tesla just needs to continue to produce Model S cars at that volume and push up its margin to meet 25 percent so that it can morph into a profitable company on a recurring basis. Following other Google April Fools’ pranks including the “closing of YouTube” and a “Treasure Map” layer added to Google Maps, the search giant has also pushed out another practical joke called Google Nose, a program that lets you search by scent. Many tech companies usually participate in the fun, and last year there were pranks from Sony, Reddit, Twilio, and more. Google has a rich history of April Fools’ Day pranks, and last year it launched a clever 8-bit version of Google Maps for NES and Game Boy. Check out the video below to see the Google Nose prank in action. Vowels aren’t really necessary in today’s digital age, are they? Twitter doesn’t think so, as it announced a new “two-tiered” service including its free model called “Twttr.” You can only tweet without vowels though. Want the vowels back? Pony up $5 a month. Seems like a pretty sweet deal to me. Luckily, Twitter really cares about its users and will offer up the “sometimes Y” free of charge…forever. Also free are vowels in link URLs. Whew. If you’ve seen the text messages from anyone under 25 years old, you know that vowels often get left out already. This is pretty forward-thinking of Twitter, as it attempts to monetize its older set of users who can still speak and write using a real language. We’re doing this because we believe that by eliminating vowels, we’ll encourage a more efficient and “dense” form of communication. We also see an opportunity to diversify our revenue stream. I was carpooling home after Twitter’s seventh birthday party with my head filled with images from our past, like our early logo where we spelled it TWTTR, in neon green toothpaste. And then Prince’s song “I would die 4 U” came on the radio. I felt like there was something there, but I wasn’t sure what or how to bring it to market. Then later that night, I was watching “Wheel of Fortune” with @adambain, and a contestant yelled out ‘I wanna buy a vowel’. Everything just sort of clicked. Adam and I turned to each other and high-fived. It was one of those product moments that just felt like magic. In addition to our normal suite of Promoted Products for advertisers, we are now also offering a single character extension, expanding the length of a Tweet to 141 characters, for those moments when you need just one more character to finish your thought. The price of the extra character is based on a bidding system reflecting the popularity of the character you would like to add. We recommend that you practice using only consonants (and “y”) with the hashtag #nvwls (or if you have paid for our premium service, use #icanhasvowels). Go here to have a play. Ws gng t typ ths ntr pst n MGHRD spk bt thr s n wy n hll tht y’d ctlly b bl t rd t. Thrfr, ths prgrph wll hv t d.
It’s kind of neat seeing the old Twttr name used for something again. As you know, it was the original name of the service. The AVC community hasn’t done a DonorsChoose campaign since the Gotham Gal and I turned 50 and we raised something like $56k in the summer of 2011. 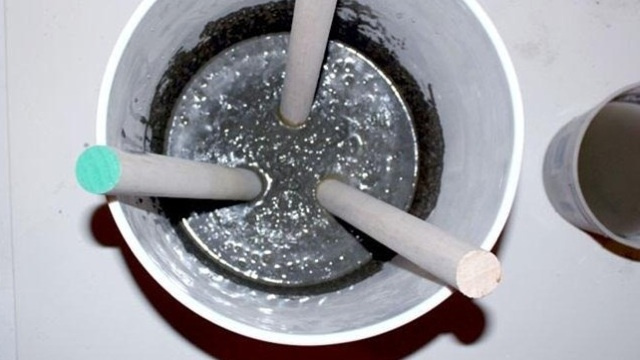 I’ve been looking for a way to beat that and it has not been easy. That’s a ton of money to raise in a month on a blog and hard to beat. But the folks at DonorsChoose and I have come up with something awesome and I am excited to launch it today. For the next month we will be raising money for classrooms in schools that are helping their students learn to code. Here’s how it works. As you all know, I have been very involved in getting CS education into the NYC public school system. It all started with my relationship with Mike Zamansky at Stuyvesant High School which is documented in this NY Times piece. Stuyvesant has been helping their students learn to code for the past 15 years but they were almost alone in that effort. Because of the efforts of the NYC Dept of Education and folks at City Hall, this coming school year there will be at least 30 high schools and middle schools in NYC joining Stuyvesant on the list of schools that are helping their students learn to code. And I want to celebrate that. Here’s how we are going to do it. We have a list of all the schools in NYC that are helping their students learn to code, including Stuyvestant, AFSE, and all the schools who are launching programs in the fall of this year. Any teacher in any of those schools (not just CS teachers) who has a DonorsChoose campaign going on is automatically on my giving page. We are going to bring good things to the schools that are bringing good things to their students. Good things will come to those who code. Maybe this will get the Principals to wake up and smell the coffee. Finally, all of you are encouraged to tell us about schools in other parts of the country that are helping their students learn to code. Please leave the details in the comments to this post. The DonorsChoose folks will be combing the comments for additional schools to add to the list. Of course, we want to bring a lot of funding to these schools and these classrooms. This community has been awesome at doing that and I am confident that all of you will continue to show tremendous generosity. I want to thank all of you in advance for that. To better serve Taiwan on its business operations model, the company has decided to conduct a review to make changes – From April, we are shifting part of Taiwan’s operations to our regional headquarters in Singapore. During this migration period, our company will temporarily disable operations of the Taiwanese site. We sincerely apologize for any inconvenience this may cause to our customers, and we promise that any returns and refunds will be processed as per the time period stipulated on our site. If you have any further queries, please contact CS@zalora.com.tw, our customer service department will answer your questions within one working day. ZALORA TAIWAN denies any rumours regarding bankruptcy or closure. We will process and complete all payments to our customers and vendors. All our employees will be managed in accordance with and with respect to the labour law in Taiwan. We will not make any further comment on rumours, and reserve the right to take legal action against any parties making false statements about us. One year after launching in Taiwan, Rocket Internet-backed Zalora may be shutting down its operations in the country. Though the Singapore-based fashion e-tailer has yet to issue a confirmation, e27 notes several signs that a closure of its Taiwan branch is already in progress. Zalora Taiwan’s Web site currently says that it will no longer provide telephone services for customer support after today. Furthermore, Taiwanese TV news station TVBS reported last week (link via Google Translate) that more than 100 employees were suddenly laid off as Zalora canceled orders from suppliers. Reasons cited by TVBS for Zalora Taiwan’s potential demise include the high cost of marketing in Taiwan’s saturated online retail market, which is already dominated by e-commerce sites Yahoo! Taiwan and PChome. Zalora recently landed several high-profile investments, including $26 million from German retail conglomerate Tengelmann Group, but as Jacky Yap of e27 notes, Rocket Internet has already encountered several setbacks in Southeast Asia, including the closure of Home24. “Rocket Internet will not hesitate to pull the plug when it comes to evaluating a likely failure,” just as it shut down its operations in Turkey last August, Yap writes. Despite Zalora’s rapid growth, the reported closure of its Taiwan operations is a reminder that Rocket Internet’s foothold on the Asian market is still not a sure thing. I’ve reached out to Zalora’s HQ for comment and will update if I hear back from them. Publisher Electronic Arts has a new chief executive officer. The company announced late on Sunday night that it is bringing in Adam Boyes, formerly vice president of publisher relations at Sony Computer Entertainment America, to run its operations as CEO. Boyes worked at EA many years earlier as a tester before moving on to a producer role at Capcom. He later started his own consulting company before his position with Sony. Boyes represents an opportunity for EA to lay out a fresh new vision for antsy shareholders who weren’t happy with the publisher’s performance under previous CEO John Riccitiello. This story is still developing. Update for more. GamesBeat 2013 is our fifth annual conference on disruption in the video game market. You’ll get 360-degree perspectives from top gaming executives, developers, and analysts on what’s to come in the industry. Our theme this year is “The Battle Royal.” Check out full event details here, and grab your early-bird tickets here! Bitcoin, the decentralized virtual currency now worth over $1 billion, was designed to be as open and transparent as possible. Unlike traditional currency, you can download every Bitcoin transaction that’s ever taken place and, more interestingly, tap into those transactions in close to real time. 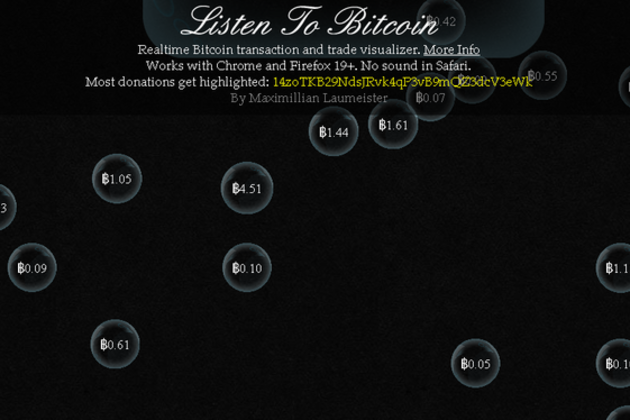 Using this freely available data, University of California student Maximillian Laumeister created “Listen to Bitcoin,” a website that generates soothing chimes for every transaction that takes place on the Bitcoin network. It seems like every time we make purchases online or in a store, we’re collecting some sort of points or rewards. For the most part, those points go unused, mostly because the companies who give them out don’t do a great job of explaining what you can actually do with them. You know the drill, you purchase a video game and you get some GameStop points that you can use after you purchase three more games, or something along those lines. Inevitably, you forget to use them when the time comes or you refuse to sign up to get their card. A company called KULA Causes wants to point those points, rewards and frequent flyer miles to good use — for charity. KULA converts those points into actual currency, spreading goodwill all over the world. According to the research firm Colloquy, at least $16B worth of reward points and miled went unredeemed in 2011 alone. KULA has built a service to turn those unused rewards into cash contributions for over 2.5M causes around the world. By working with brands on building this three-way bridge between companies, causes and consumers, KULA is making a real difference in over 80 countries all over the world. Since there are so many causes in KULA’s database, it’s easy to find a few that you really care about, and then you’re motivated to put your unclaimed rewards to good use. KULA calls the process “democratized transactional giving,” which the company hopes will build goodwill between companies and consumers, even if the reward points that someone has collected aren’t used by them for in-store purchases. The company was founded in 2010 and has raised $1.6M to date. It’s up to the companies to integrate KULA into their reward offerings, but it’s a win-win for everyone involved. The company also has a great blog called “The Currency Of Giving” that is worth a read. The mixing of companies focusing on both profitability and non-profit programs is an important one, as consumers do care more about companies that do social good. Would you give your points and rewards away for charity? Can you imagine something like this actually happening? Some people flipped out about the new compose screen becoming the default, so they’d lose their mind if Google changed all of the colors in the email service. The real bit of news here? Gmail turns nine tomorrow. Yes, we’re all old. I can’t help but wonder if this is a not-so-subtle poke at Facebook, which of course is well-known for having the color blue all over the place within its apps and site. One of our readers, Edd Friedman, smartly suggested in the comments that this could be Google making fun of Microsoft Windows Blue. Makes sense. The line about brown being a disaster? Commenter syntaxsyntax999 thinks it’s a riff on the Zune. Regardless, hearing Googlers have a sense of humor about themselves and their “moonshot thinking” was enjoyable. Get ready for more April 1st funnery from Google, and the rest of the Internet, tomorrow. In late March, the American Geophysical Union announced that the Voyager I space probe became the first man-made object to leave our solar system. Just a few hours later though, NASA’s Jet Propulsion Laboratory shot down that claim noting that the tell-tale sign of hitting interstellar space (a “change in the direction of the magnetic field”) hasn’t been detected yet. Still, this whole thing got me thinking: NASA launched Voyager I in 1977 to peer more closely at the outer planets. By late 1980, the probe had completed its tour of Jupiter and Saturn and made a gravity-assisted beeline for the edge of the solar system. In the 40 or so years that Voyager has toured the outer fringes of the solar system, our focus on space has grown more limited, and in many ways it’s a new breed of space-based startups that are helping to spark imaginations the way NASA has done for decades. You see, back on Earth, some people are looking to the heavens with renewed vigor — emphasis on “some.” There’s still plenty of work to be done in low Earth orbit, with SpaceX and a handful of other companies crafting and perfecting their cargo-ferrying space taxis for trips to the International Space Station. But the U.S. government’s drive to search out newer and farther frontiers in space has been seemingly tempered by political pragmatism and a dearth of available funds. Ventures like Curiosity’s Mars landing were highlights in the history of space science and exploration, but these days NASA can’t even maintain its public outreach programs thanks to recent budget cuts. That’s why the promise of privately operated space startups is so captivating: national priorities have shifted since the sixties, but that hasn’t kept some ambitious entrepreneurs from almost literally reaching for the stars. SpaceX founder Elon Musk famously noted that he hoped to establish a full-fledged colony on Mars, and at least one mildly kooky organization is looking to get people living and working on the Red Planet as soon as possible by way of a televised spectacle meant to raise funds and select the first batch of Martian astronauts. Mars isn’t the only floating hunk of rock that entrepreneurs are currently eying up, either. A startup called (unimaginatively enough) Planetary Resources has received backing from some serious names and aims to explore/hopefully mine nearby asteroids for precious materials with a fleet of specialized robots. It’s not as though every space startup has ambitions as wild-eyed as those listed above. Altius Space Machines took home the top at NewSpace 2011′s business plan contest for its vision of simplifying the process of wrangling out-of-control satellites and the like. Meanwhile, SpaceGround Amalgam won that same prize a year later for its inflatable antenna concept — they fold up for easy storage during launch, and can inflate and harden once in orbit. These sorts of less-flashy startups are just as important as SpaceX and Planetary Resources — should their long term visions pan out, they could help lay the groundwork (spacework?) for more majestic, horizon-expanding ventures to come. Even the Startup Weekend guys are getting into it: the very first SW event dedicated solely to space is slated to kick off in late May with the goal of coaxing would-be space entrepreneurs into cooking up the next great space startup. Some of the plans above sound like spurious tales of science fiction, pages ripped from a pulp novel, but they shouldn’t be immediately discounted just for that. I suppose the notion that a device of mankind’s creation would break free from the influence of the sun would’ve sounded like science fiction a few decades ago, so who’s to say what the next few years will bring. Speaking of the next few years, Voyager doesn’t have much longer to live. At the probe’s current rate of power consumption, it has enough juice in its plutonium-powered generators to keep it going until about 2020, when NASA will begin to remotely shut down Voyager’s instruments one by one. Ultimately, Voyager will continue to drift in the sea of interstellar space, but humanity will lose contact with its most far-flung explorer in short order — here’s hoping that some savvy startups help to kick off a second Space Age before then. Michael Shapiro isn’t the sort of person I’d expect to circumvent the gatekeepers of traditional journalism. He’s a professor at the Columbia School of Journalism, and he said he’s been published in The New Yorker, Esquire, The New York Times Magazine, and Sports Illustrated — in other words, he seems to be on pretty good terms with those gatekeepers. Yet Shapiro is launching a new journalism startup called The Big Roundtable. The reason? He said that there are a lot of untested assumptions in the journalism world. As a parallel, he pointed to book publishing, where he said it was long believed that “black people don’t buy books.” There was, in fact, “this whole sub rosa world” of independent black book stores, with its own bestsellers like Iceberg Slim‘s Pimp: The Story Of My Life. Yet traditional publishers had no idea that world existed until the mainstream success of writers like Terry McMillan in the 1990s. If someone in that first group likes the excerpt, then it’s passed to a second group, and if someone likes it there, only then does an editor — specifically Mike Hoyt, executive editor of the Columbia Journalism review — start working with the author. Ultimately, Shapiro plans to sell a new nonfiction novella on the site every week, and the writer will get $1 from each sale. Hopefully, this will allow The Big Roundtable to find work that didn’t catch the attention of particular editors but will still resonate with some readers. In that vein, Shapiro is looking for finished pieces rather than commissioning articles in advance — this should be a story that someone had to write, and they just haven’t found a home for it. “If you’re going to say, ‘Well, I don’t know, I want to take my idea to some place where they can pay in advance,’ my response is: Go with God,” Shapiro said. He also said he wants to expand the reading group from 50 people to “hundreds”, with a broad set of tastes and experiences, but Shapiro emphasized that it’s not quite the same thing as crowdsourcing. To help fund The Big Roundatble’s costs, Shapiro has been raising money on Kickstarter. He recently passed his $5,000 target, but he said he deliberately set the goal low to make sure that he would meet it. He’s hoping to raise more money, which would presumably support The Big Roundtable for a longer period of time and allow it to get a little more ambitious. Shapiro said he’s going to be exploring other funding options, too. This story is part of a series exploring the themes of our upcoming, invitation-only Mobile Summit, April 1-2 in Sausalito, Calif. Explore more stories in the Mobile Summit Debate series. Charles Huang is the chief executive of Green Throttle Games. He also co-founded Red Octane, creator of Guitar Hero. Smart phones, tablets, and smart TVs will soon be powered by the same technology stack — ARM processors running iOS or Android along with their respective app stores. That means the key differentiating feature between these devices will be staring you right in the face — screen size. Screen size matters more than content creators think. For starters, look at this research from Google that shows engagement increases with screen size. This makes sense, as people consume content differently on different screen sizes. 4-5” phones are great for checking emails, tweets, social networks (especially uploading photos you took on your phone), listening to music, and playing casual games like Angry Birds. Consumers surveys show that email is the #1 activity on smart phones. 7-10” tablets are great for reading books and magazines, surfing the web, watching videos, and playing casual to mid-core game, like Plants vs Zombies or Infinity Blade. Consumer surveys show that gaming is the #1 activity on tablets. 30-50” TVs are great for long session movies, TV shows, and video games. Big screen TVs are usually hooked up to the best speakers in the house, so it’s great for rich audio and video experiences. Perhaps most important, the 30-50” screen is for content you want to share with family and friends. Increasingly, the user experience in front of the TV now includes a 2nd screen in the form of a tablet/phone. This dual screen experience is common enough that the Wii U built an entire controller to facilitate this. App Annie recently started to track Kindle app performance and their data backs up my thesis on screen size. According to App Annie’s data, all of the current top 10 paid apps on the Kindle store are games. Meanwhile, on Google Play, seven out of the top 10 paid apps are utility apps. This makes sense as Play enabled devices are predominantly phones, while Kindle is a tablet. This juxtaposition shows that screen size matters for apps when it comes to phones vs tablets. So what does this mean for developers? Sophisticated iOS and Android game devs need to build games with target screen sizes in mind to deliver an optimal user experience. 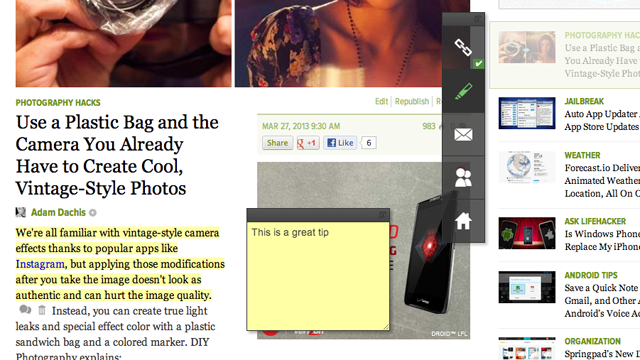 Better UX is needed to improve monetization. In my field of video games, I’ve always believed that World of Warcraft doesn’t work on mobile and Angry Birds doesn’t work on TVs. It’s also worth pointing out that Guitar Hero (my game) never sold well on PC. So why did we at Green Throttle Games target Android-based TV games? Because data shows that bigger screen sizes lead to longer engagement sessions. Our thesis is that longer engagement sessions will lead to higher monetization. This is true for video (think YouTube snippets vs. TV shows vs. movies). And of course, this is true for games (think phone vs. tablet vs. PC vs. console). VentureBeat’s sixth annual flagship conference on the future of mobile is taking place July 9-10 in San Francisco. The brightest minds and biggest names in the industry will explore the convergence of design, technology, and commerce around what we’re calling “The Mobile Experience.” Check out full event details here, and register here. What Does A Ghost Smell Like? Google Nose. Google is shutting down YouTube? Good riddance! There hasn’t been a video worth watching since Paula Abdul’s Opposites Attract anyway. With the announcement of their newest totally real project, Google is making it clear that they know where the future of online entertainment really is: smells. Meet Google Nose. With Google Nose, you’ll be able to stop and smell the roses without having to stop a damned thing. So, how can you take part in on Google’s new olfactory odyssey? It’s easy! You don’t even have to tweet at Google in hopes that you’ll win the opportunity to give them a pile of money for the appropriate hardware. You’ve already got the appropriate hardware! Just Google for your scent of choice (be it a wet dog, a cracklin’ campfire, or the gym), tap the “smell” button, and sniff away. Google will “intersect photons with infrasound waves” to emulate the requested aroma. That, my friends, is science. [I’m pretty sure we’ll have a running list of April Fool’s gags tomorrow (it is tradition, after all), but this one is hittin’ early enough and got a hearty enough laugh out of me that it’s worthy of its own post. 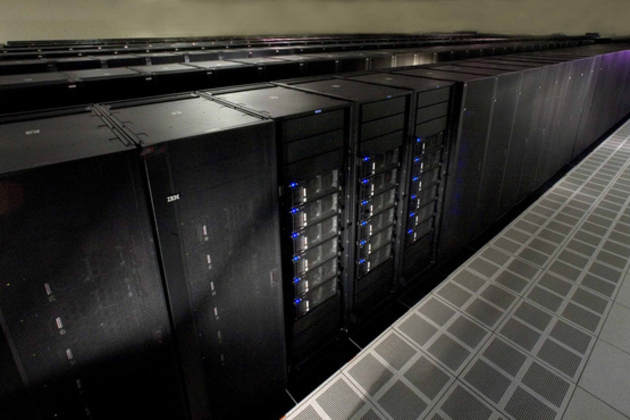 The fastest supercomputer of 2008 is being decommissioned today after setting record-breaking speeds five years ago. The IBM-built Roadrunner was the first machine to reach the notable performance target of 1 sustained petaflops — equivalent to one million billion calculations per second. Though the machine is still one of the faster computers in the world, its power consumption is making it obsolete. The next-fastest supercomputer nearly matches Roadrunner’s speeds with only about one-fifth of the energy consumption, making Roadrunner comparably too expensive to operate. When you step off the elevator into Kixeye’s new downtown San Francisco office, a guy in military fatigues has you sign an NDA. After you do (I didn’t), a receptionist with a lot of piercings takes your name, while The White Panda’s “Foolish Monsters” blares in the background. Kixeye has whale harpoons stapled to its office walls, bad oil paintings (see left), ceiling-to-floor drawings of fire-breathing dragons and jacked unicorns, a 3-D printer of questionable purpose and little desire to answer to anyone else. All while remaining profitable, the midcore social gaming company has quintupled its headcount over the last year to more than 450 employees. The company says it has “several” times the $19 million in capital they raised stowed away in the bank. Too expensive for acquirers and still too small and unproven for public markets, privately-held gaming companies like Kixeye are chugging along profitably and doing things their own way. Meanwhile, across the Atlantic, other privately-held gaming companies such as Finland’s Rovio and Supercell, the U.K.’s King and Germany’s Wooga are also growing profitable businesses. That feeling is mutual on the buyers’ side too. Warner Bros said last week that it would be opening a gaming studio in San Francisco. In other words, it is choosing to build, not buy. “Every time we looked at a company that was really interesting, we found that the price tag was more money than we thought was reasonable to pay,” said Greg Ballard, who is Warner Bros. senior vice president of digital games. Similarly, EA is holding off after some big ticket deals in the last few years to buy Seattle’s PopCap for up to $1.3 billion. “With regards to a large acquisition, we’re probably OK for the time being,” said Nick Earl, who oversees most of EA’s free-to-play games as a senior vice president there. “If the right deal presents itself, we would make that deal. But we’re not actively seeking it.” He said his arm of EA’s business, the All Play label, is putting more effort into a smaller number of games this year. Likewise, Zynga’s COO David Ko emphasized a more “disciplined” approach toward acquisitions in an interview with me last month. Zynga’s shares were burned after the $180 million deal to buy Draw Something-maker OMGPOP. After some layoffs and a hard pivot to mobile platforms, Ko said the company is a lot more rigorous about what it looks for. Since OMGPOP, Zynga has only done a few talent deals with startups such as A Bit Lucky. Basically, buyers and sellers are at odds over what these companies should be worth. Sellers want several times annualized revenues — based on the months where they have hits. Buyers have limited cash and are aware of how difficult it is to integrate acquisitions and retain talent in such a competitive market. GREE’s U.S. CEO Naoki Aoyagi told me in a panel at an event put on by investment bank Covert & Co. earlier this week that the company was much more careful about structuring retention with the $210 million deal to buy Funzio compared to the time that they spent $104 million to buy OpenFeint. He said he was much “happier” with the Funzio outcome, given that the co-founders have stayed on. At the same time, if you can run a creative business that generates loads of cash when you have a hit, why work for anyone else? On the back of two hit iOS games “Clash of Clans” and “Hay Day”, Finland’s Supercell is opting for a massive round of more than $100 million over acquisition conversations, sources tell me. “There is a set of profitable, cash generating companies that feel they have a very legitimate shot at challenging the existing cadre of public game companies as the industry’s next leaders,” added Segerstrale, who didn’t comment specifically about Supercell. His early-stage firm Initial Capital is one of Supercell’s largest shareholders. It’s possible that the big gaming companies could start to feel comfortable with public markets in a few years, if they have a broad enough portfolio of hit franchises. Companies like San Francisco’s Kabam, Seattle’s Big Fish Games and Finland’s Rovio already regularly report basic revenue figures to generate interest — either from future public shareholders or buyers. On top of that, it looks like this year is the first one where a single mobile game’s revenues could rival that of a traditional console blockbuster. Japan’s Gung Ho Entertainment published a financial statement a few days ago suggesting that its iOS game Puzzle & Dragons made somewhere between $62 million and 86 million, all in a single month and all from Japan. That company’s stock has surged by more than 2,000% in the last year because of that single title, and Gung Ho is now worth more than $4.8 billion, according to its market capitalization. But none of these companies are going out to market now, especially considering that Zynga shares fell by almost three-quarters in the first year after the company went public. Instead, this generation of gaming companies is biding its time, riding the wave of surging iOS and Android revenues and making sure that their businesses are more hit-proof. King, an arcade-gaming company that started more than a decade ago, just made the leap to mobile last fall. Its game Candy Crush Saga has been competing with Supercell’s “Clash of Clans” for the top-grossing spot in the U.S. That single title blew through all of the’s company 2013 financial targets in a single month and brought them more mobile daily active users than Zynga had last quarter. They’ve quadrupled their headcount in the last two years ago, haven’t taken funding for eight and have always been profitable. Editor’s note: Tadhg Kelly is a veteran game designer, creator of leading game design blog What Games Are and creative director of Jawfish Games. You can follow him on Twitter here. The Game Developer’s Conference was, as expected, a whirlwind. Folks from all across the games industry and associated media came together, ate, drank, talked, queued, played, partied and even danced with wild abandon, and everyone’s takeaways from the event were different. GDC is so big that nobody is able to objectively summarize what it is, but the separation between the talk and the business sides is palpable. If you mostly hung around in Moscone West and North then your GDC was probably all about education and big ideas. If you stayed more in the Expo, Moscone South or around the W hotel, it was more likely a sea of business cards. Depending on where you spent your time, there were whole parts of GDC you’d never see, news that you heard indirectly, rumors and issues which emerged on one side that the other either misunderstood or was completely unaware of. This year I found myself straddling the divide, with many meetings and talks filling my calendar to bursting. I saw some things, learned some stuff and met some people, and some themes emerged for me. No doubt others who attended had a completely different experience. My first theme was the increasing voice of women in games. The role, perception and treatment of women in the industry has been a long-standing issue. The most visible sign of this is the use of booth babes at trade shows to promote games, but it goes way beyond that. Female game makers have long felt that they have to struggle twice as hard to be taken seriously. They also feel woefully underrepresented by the industry’s output – even though women make up the majority market for casual and social games, for example, representations of women are often anodyne at best. Yet these noble expressions were undermined by the International Game Developers Association (IGDA) party, which featured skimpily dressed female dancers. A catastrophic misjudgment of sentiment, the party – sponsored by Yetizen – led to many outbursts on Twitter and the subsequent resignations in protest of many high-profile IGDA members. Most notable was Brenda Romero, who only hours previously had been the leading light of the #1reason talk. It seems that the issue of women-in-games has gained much (rightful) traction on the Moscone West side of the conference. However it has yet to permeate through to the Expo side, the people who run marketing departments and PR events. Calls such as Anthropy’s are a start, but there is still a great deal to do to get those who aren’t really aware of the issue to care about it. My second theme was microconsoles. There were two parties, one for OUYA and another for GameStick, where unveilings and announcements were made. Perhaps most impressively, Julie Uhrman announced that OUYA had shipped in March as the original Kickstarter had promised, that a much larger network of retail partnerships have been formed than most industry insiders expect, and that there are around 100 games available at launch (including a mix of vintage titles like Canabalt along with brand-new games). The GameStick event was also apparently very interesting (I wasn’t there) and it too is set to ship very soon (June, by all accounts). And there are other microconsoles in the pipeline. However the resistance from the main industry to an app-style console that costs little and runs free, free-to-play and cheap games is very high. Many really don’t see what the fuss is about, comparing the microconsole to the console in a like-for-like comparison. Many question who the devices are for exactly, and what they are supposed to achieve. Personally I think this resistance comes from the same mindset that led many game developers to misunderstand the importance of social games, netbooks, tablets and a whole host of similar left-field market movements. It will probably take a year for a Supercell, Zynga or Rovio to emerge on microconsoles for game developers to suddenly realise that they’ve missed the boat. The more relevant question is whether any of the existing microconsole contenders will be the ones to ultimately win. A rumour surfaced, for example, that Apple is almost ready to release a dedicated iOS game controller – which led some tweeters to tell me that this means microconsoles are already dead when it actually validates the idea. There is also the haunting feeling that Samsung and some of the other big Android handset makers are eyeing the space. Could Amazon get in on it? It’s entirely possible. My final theme was the idea that real-money gaming is becoming respectable. This is a time when many publishers are facing up to the hard reality of making money in online gaming (and many are still advancing deals that will likely lead to game-a-day or vertical operations down the road), while retail games are capable of selling 3.4 million copies and still not meeting expectations. Real-money wagering, betting and the like were prevalent in back-channel talk at the conference. There is the expectation that at some point the United States will legalize real-money gaming in the form of small wagering, sports betting and similar, and various companies are poised to provide solutions when it does. What surprises me is how less stygmatized that idea has become. There was a time, perhaps five years ago, when the games industry considered itself entirely separate from real money, but not quite so much any more. Perhaps as a result of free-to-play gaming starting to go indie (such as through games from Nimblebit and Spry Fox, both of whom talked about their experiences), sensitivity to the very idea of real-money seemed a little more confined to sensitivity about predatory practises. Provided the model is well-managed and controlled, some game makers seem quietly open to the idea. Personally I’m not sure how I feel about that yet, but the sentiment on the Expo side was palpable. I wonder whether the ethics, morality and practise of real-money gaming will be next year’s hot button issue in Moscone West.